In: FUTMINNA 2017/18 Postgraduate Admission !!! FUTMINNA 2017/18 Postgraduate Admission !!! 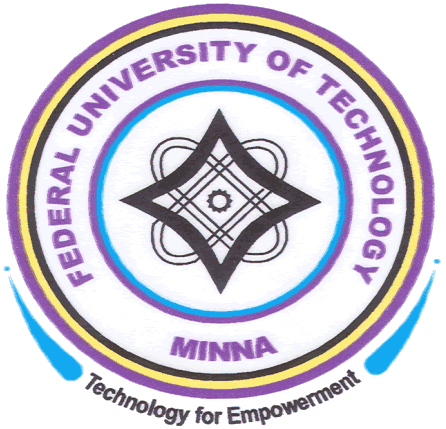 The Federal University of Technology,Minna (FUTMINNA) programmes available for the postgraduate admission for the 2017/2018 academic session. Applications are invited from suitably qualified candidates for admission into different Postgraduate Programmes. O’ Level Entry Requirement for Candidates applying into any Department in the School of Agriculture and Agricultural Engineering Technology must have at least five O’ Level credits to include: English, Mathematics, Biology /Agricultural `Science, Chemistry and any one relevant Science subject. PhD (Full-time and Part-time) in the following areas of specialization. MTech (Full-time only) in Animal Production. O’ Level Entry Requirement for Candidates applying into any Department in the School of Engineering and Engineering Technology must have at least five O’ Level credits to include English, Mathematics, Physics, Chemistry and any one of the following: Biology/Agricultural Science, Technical Drawing, Geography or Economics. PhD (Full-time and Part-time) for Staff of the Department only. BTech (Arch) Degree with a minimum of Second Class Lower Division from a 5-year Architecture programme. Minimum of five (5) O’ Level credits to include English, Mathematics, Physics and any two of the following: Chemistry, Technical Drawing, Economics, Geography, Building Construction, Fine Art and Surveying. PhD and MTech in Quantity Surveying (Full–time only). Minimum of five (5) O’ Level credits to include English, Mathematics, Physics and any two of the following: Chemistry, Technical Drawing, Economics, Geography, Surveying and Agricultural Science/Biology. BTech/BSc (Quantity Surveying) Degree or equivalent of Federal University of Technology or any other approved University with a minimum of Second Class Honours Degree. Minimum of five (5) O’ Level credits to include English, Mathematics, Physics and any two of the following: Chemistry, Technical Drawing, Economics, Geography, Elementary Surveying, Agricultural Science/Biology. BTech/BSc (Surveying) Degree or equivalent of Federal University of Technology or any other approved University with a minimum of Second Class Honours Degree. In addition the PhD candidates having the following qualification from any approved University. 4. SCHOOL OF LIFE SCIENCES. PhD ( Full –time and Part-time) and MTech (Full-time only) in Biochemistry. Minimum of five (5) O’ Level credits in English, Mathematics, Biology, Chemistry and Physics. Minimum of Five (5) O’ Level Credits in English, Mathematics, Physics, Chemistry, and Biology. Minimum of Five (5) O’ Level Credits in English, Mathematics, Geography and any other 2 from the following: Physics, Chemistry, Economics, Biology/Agric Science. Minimum of five (5) O’ Level credits in English, Mathematics, Biology/Chemistry and any other Science subject except Agric. Science. Minimum of Five (5) O’ Level Credits in English, Mathematics, Physics and any other two Science Subjects obtained at not more than two sittings. Minimum of five (5) O’ Level credits passes in English, Mathematics, Physics and any two other Science subjects. Minimum of Five (5) O’ Level credits in English, Mathematics, and three other Science subjects. MTech (full-time) in Computer Science. NOTE: Aptitude Test will be conducted before admission for all Applicants into M.Tech in Computer Science. Applicants will be contacted through SMS and email on the issue of the aptitude test. PhD in Cyber Security Science (Full-time and part-time) for Staff of the Department only. Professional Masters in Disaster Risk Management and Development Studies (Full-time only). Five ‘O’ Level credits including English and Mathematics and any of Geography, Biology/Agric Science plus any two science or social science subjects. Third class Degree with Postgraduate Diploma in any of the areas listed above and at least 3 years of working experience in relevant fields. 9. CENTRE FOR HUMAN SETTLEMENTS AND URBAN DEVELOPMENT. A Postgraduate Diploma in any relevant field for holders of Higher National Diploma with a minimum of Lower Credit. In Addition to (i) and (ii) above, a minimum of five (5) O’Level Credits in English Language, Mathematics and any other three subjects in either Physics, Chemistry, Geography, Biology/Agricultural Science or Economics at not more than two (2) sittings. The Master Degree programmes are expected to last a minimum of three Semesters for Full-Time Students and four Semesters for Part-Time Students. The maximum allowable periods of studies shall be six Semesters for Full-Time and eight Semesters for Part-Time Students, subject to maintaining a CGPA of 2.50 in every semester. Failure to meet this requirement will result in withdrawal from the programme. A Minimum of six Semesters (three (3) academic Sessions) and maximum of ten Semesters (five (5) academic sessions) for Full-Time Students. A Minimum of ten Semesters (five (5) academic Sessions) and maximum of fourteen Semesters (seven (7) academic sessions) for Part-Time Students respectively.